Peter VanDenBeemt brings a touching story, engaging and inspirational, exploring the motivations for the choices we make, a book which in a way may helps all of us to recalibrate our thinking. 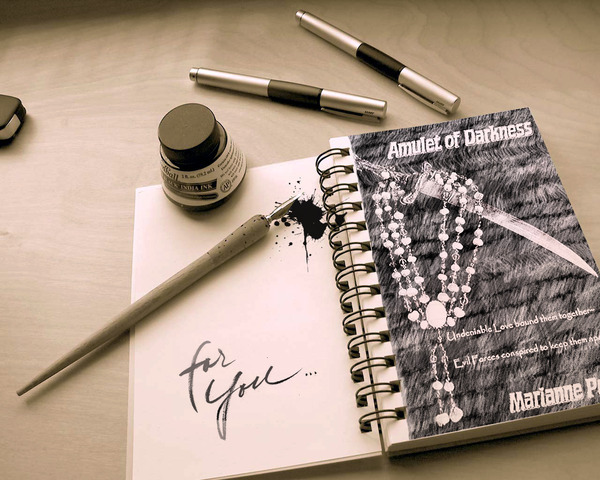 A book about personal development, full of emotional and spiritual matters. The book is filled with wisdom and teaches us to seek more out of life, to pursuit a meaningful life. From an autistic child with impaired vision to a young adult who tries to make sense of his relationships and overcomes his fears and complexes. Frank embarks on a self discovery journey and finds his answers through his writing, dreaming to become one day a published author. Along the way he discovers how to develop his relationships while he helps others to face their obstacles as well. In a 2003 writing class I wrote a “word portrait” of Rene Magritte’s The Mysteries of the Horizon, an interpretation of the person and setting of the painting. Then as a later exercise I wrote a “wrapper” story about the writer of the word portrait and how it reflected his life. Then I took a job that kept me from home twelve hours a day. All writing stopped until I retired and moved to Thailand. Once here I reworked what I had and now want to try it out. It’s still set in Los Angeles circa 2003. Too many references put it in that timeframe. My hope is that the story is timeless enough to endure. The protagonist’s name is Frank McCoy, first and last name chosen to represent honesty and truth. Who am I, where have I been, where am I going? John embarks on a fantastic journey through his past, where he is brought back to events and circumstances that led him to where he is today. When he meets a strange old man who guides him through this dreamlike world of yesterday, he is able to witness and partake in all of the choices he had made in his life, from his innocent and nostalgic childhood up to his current adult life. Not knowing if he is dead or dreaming, he wonders if he will be able to change the circumstances of his life or just remain a hostage witness to all he has created. We follow John along a journey of joy and sorrow, forgiveness and regret, as he tries to make sense of it all. One More Chance is far more than a good book, it’s a book of introspection to fall in love with.Drawing from Carl Sandburg quote, Brian Millers races to find answers for John Meyers and decide where his character’s life goes, helps him to discover who was he and who he became. Overcoming Self-Limiting Beliefs that Impede you on Your Path to a Fulfilling Life . Professional ballroom dancers Terri and Rick Hamilton aspire to be world champions. Unfortunately, Terri’s recurring back and health problems place that goal well out of reach. They travel to Terri’s birthplace, Florianópolis, on the scenic island of Santa Catarina off the coast of Brazil to vacation and visit their best friends and mentors. Along the picturesque beaches, dead penguins and eviscerated bodies wash up on the shores of paradise, and Antarctic blasts play counterpoint to the tropical storms that rock the island. The scenic wonder is home not only to urubús, a unique sub-species of the black vulture, but also to a clique of mysterious women who offer Terri perfect health and the promise of fame-at a terrible price. Rick fears Terri is being drawn into a cult and that his own life may be in danger. Will it be too late when he discovers something even more terrifying lives beneath the tranquil, tropical veneer of the island? Idyllic one moment and nightmarish the next, you never know what you’ll encounter in the city of Florianópolis—murder, mutilations, carrion, or the lure of eternal youth. Poet, swordsman, and master of disguise, Vicente de Rocamora, the epitome of a young renaissance man in 17th century Spain, questions the goals of the Inquisition and the brutal means used by King Philip IV and the Roman Church to achieve them. Spain vows to eliminate the heretical influences attributed to Jews, Moors, and others who would taint the limpieza de sangre, purity of Spanish blood. At the insistence of his family, the handsome and charismatic Vicente enters the Dominican Order and is soon thrust into the scheming political hierarchy that rules Spain. As confessor to the king’s sister, the Infanta Doña María, and assistant to Philip’s chief minister, Olivares, Vicente ascends through the ranks and before long finds himself poised to attain not only the ambitious dreams of the Rocamora family but also—if named Spain’s Inquisitor General—to bring about an end to the atrocities committed in the name of the blood purity laws. First, the resourceful young man must survive assassination attempts from a growing list of ruthless foes in both Church and court, solve a centuries-old riddle to quell rumors of his own impurity of blood, and above all, suppress his love for the seemingly unattainable Doña María. A new life and a new name … House of Rocamora, a novel of the 17th century, continues the exceptional life of roguish Vicente de Rocamora, a former Dominican friar, confessor to the Infanta of Spain, and almost Inquisitor General. After Rocamora arrives in Amsterdam at age forty-two, asserts he is a Jew, and takes the name, “Isaac,” he revels in the freedom to become whatever he chooses for the first time in his life. Rocamora makes new friends, both Christian and Jew, including scholars, men of power and, typically, the disreputable. He also acquires enemies in the Sephardic community who believe he is a spy for the Inquisition or resent him for having been a Dominican. As Isaac Israel de Rocamora, he studies Medicine at Leyden and, at age forty-six, receives a license to practice. That same year Rocamora weds twenty-five year old Abigail Touro, and together they raise a large family. During his time in Amsterdam, Rocamora has a bizarre encounter with Rembrandt, serves the House of Orange as physician, and advises Spinoza before the philosopher’s excommunication. He survives a murder attempt, learns from the great English physician Harvey, and a surprise visit from a childhood friend leads to an unusual business venture. Life is never routine or dull for Rocamora. The intrigues start with his arrival in Amsterdam and do not end until he takes his last breath. Praise for Rocamora, 2012 Finalist International Book Awards: “Rocamora is the best historical novel I have read, a fascinating story, well written with vividly portrayed unforgettable characters.” —Christiane Engel, MD, PhD, concert pianist, and member Board of Directors of her grandfather Albert Schweitzer’s Hospital in Lambarene, Gabon “You have a fine historical novel.” —Barnaby Conrad, author of Matador, Manolete, and The Second Life of John Wilkes Booth. As a journalist for many years and having come in contact with all sorts of people from politicians to criminals, Patrick Brigham has published his most recent and complex murder mystery, involving a murder on the Kennet and Avon Canal in England, a stolen identity, a major arms deal which has gone horribly wrong, and a clever and thoughtful Detective Chief Inspector from Thames Valley Police Authority, who is assigned to untangle and solve this murder mystery. Patrick Brigham takes his readers on a trip from Reading in the UK to Bulgaria, South Africa to Belorussia and from Taiwan to Peru. A trip which begins with the discovery of a small mobile phone and a dead man on an EnglishCanal and it ends with the murder of a Chinese shipping magnate, in the streets of London. Will anyone’s life be the same again and how will our provincial policeman cope with these different layers of intrigue? A good conspiracy theory in an ex communist country or how a career can be destroyed by duplicity, stupidity and a good measure of gossip! With his pen Patrick Brigham reveals the diplomatic lifestyle of the British Ambassador in Sofia – Sir Arthur Cumberpot – and spins an elaborate web, involving both the intelligence services of Bulgaria and UK. Together they successfully destroy the diplomatic career of the British Ambassador – end it up with the murder of his wife Lady Annabel – who was accused of espionage. Lady Annabel Cumberpot is guilty of nothing, other than being the biological daughter of Jim Kilbey, Britain’s most famous spy. She is the victim of serendipity, but also of cover ups, thin evidence and total exaggeration. What gives the book some heft is the author’s sense of humor when he describes the elitist lifestyle and dissect some of the most profound conspiracies theory you can imagine. As with all conspiracy theory he makes you wonder how much of the story may be actually true, or is he just putting together enough or rather too many evidences to suggest how a life can be destroyed for no reason at all. The story is set in Israel, during the period of the Oslo Peace Negotiations. The plot revolves around participants in the Peace Process. Set a few years ago,the story is exceptionally timely in the context of current events. Despite its name,Murder Over The Border is a pro peace and cooperation story. A murder mystery set in the context of the Middle East Peace Process. The hero, Yossi Abulafia, is an Israeli policeman on army reserve duty near the Jordanian border. Instead of watching the border, he is taking photographs of antelope when the observation post he is sitting in collapses and he is seriously injured. During the accident, he unwittingly takes a photograph of what appears to be a murder — on the other side of the border with Jordan. As a result of his accident, he is transferred to a boring desk job. He uses his connections to try and investigate what happened on the other side of the river. In the course of his new job, he travels to Amsterdam for a conference where he meets Aziz — a Jordanian police officer. During the few days they are together, the two men become friends, but are attacked twice by an unknown assailant – the ‘shooter’. The first attack passes without any damage, but the second is far more serious. Both men are shot, Yossi loses consciousness and is returned to Israel. Abulafia is discharged from the police force against his will. He is semi-crippled, walks with difficulty and the aid of a cane. His close friend Yehiel, a lawyer and now special advisor to the Prime Minister, offers Yossi a job. Yehiel is in charge of the secret negotiations being conducted with the Palestinians in Oslo. Yossi, who is not enthusiastic about the idea of talking to the PLO, becomes his general factotum and police liaison. 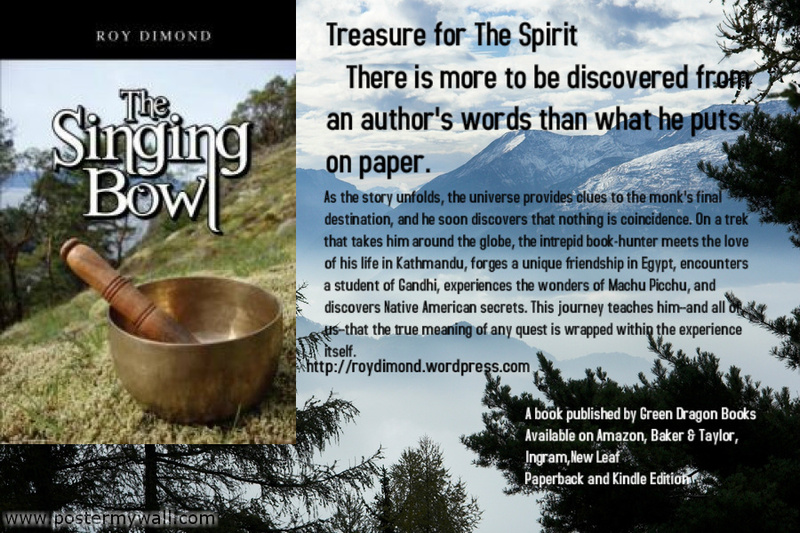 Roy Dimond presents the story of a Tibetan monk who has the daunting task of finding a lost book in order to bring a way of life back from the brink. Armed with only courage and an ancient artifact, the sacred Singing Bowl, the young monk embarks on a spiritual odyssey filled with harrowing dangers and mysteries. As the story unfolds, the universe provides clues to the monk’s final destination, and he soon discovers that nothing is coincidence. On a trek that takes him around the globe, the intrepid book-hunter meets the love of his life in Kathmandu, forges a unique friendship in Egypt, encounters a student of Gandhi, experiences the wonders of Machu Picchu, and discovers Native American secrets. This journey teaches him–and all of us–that the true meaning of any quest is wrapped within the experience itself. The source of all happiness and benefit. The life with its tumultuous events is just the trip to the final destination. Never has this been clearer than in Roy’s book,The Singing Bowl,which introduces the readers in the world of serenity,meditation and self inner peace. It can be everyone journey to the Wild Divine. There is more to be discovered from an author’s words than what he puts on paper. A Born Victim is the story of Gill Brogan, a young single mother who is pushed deep into despair by workplace bullying. Just when she thinks nothing could get any worse she finds herself narrowly escaping an attempt on her life. For me, writing about violence against women is best summarised by the words I put in the mouth of one of my characters: “It would be like smashing a priceless porcelain vase just to hear the noise it made.” While I hope readers enjoy the detective aspects of the story and get caught up in the thrill of the case I also hope they go away from this book with the very clear idea that women should be treasured, protected and never, ever subjected to violence. R P Rochford was born in Essex (UK) to Australian parents and lived for some years in Wales before returning to England. He has a first degree in design, a Masters in Computing and now teaches and lectures in both subjects. He has been writing academic material for some time but really started with fiction in early 2010 initially writing short stories then beginning work on A Born Victim. When not working, R P Rochford likes to spend time with his family and dog. He likes to travel and has been privileged to spend time in many European countries where he enjoys observing people and using his observations to build characters for fictional stories. “A deadly secret in a suitcase full of stolen gold leads to a series of unexplainable murders while the FBI hunts for a top foreign killer spy. During the final days of the Second World War, Ben Kalninsh would search an abandoned coal mine tunnel for stolen guns the soldiers hid inside. Unfortunately for him, by entering the tunnel he sets into motion events which will follow him into his adult life. In 1945, Ben travels to America with his veterinarian father, Edwards, and beautiful Latvian mother, Agnes, along with his two younger brothers, where they settle in the Nordic-friendly town of Forks, Minnesota. Five or six years later, his father is gunned down. And no one knows why. FBI agents approach him with news of the murder of his father. Special Agent Miriam Dokes and Agent Book are assigned to the case which includes the torture and murder of Edwards’ Doctor turned farmer friend, Karlis Goulbis. Two decades have passed since the second World War, and the mass murderer Anton and his family are still on the run. Even while skipping and jumping across southern Europe, Anton knows that the distant shores of a faraway land, America, are a perfect hideaway. Like millions of others, two priests living in San Francisco, Father Dominic and Father Joe, had never heard of Anton. They don’t know that the mass murderer disguised in monk’s clothing was crossing the ocean to find a haven only three or four hundred miles from them. And they would not hear of him until twenty years later, when he was already facing charges in a Federal Court. Three Interpol agents are hunting for Anton when their employer suddenly and unexplainably stops them. They aren’t aware of the presence of an enigmatic world power (EWP). They are also unaware that one of them, agent Damon, is leading a double life and operating clandestinely as a high priced hitman ‘Raven.’ Upon his resignation from Interpol, Damon is hired by a wealthy Californian to look for Anton. But by then Anton is already being investigated by the Los Angeles Federal Courts. Soon after, Anton is found guilty of numerous attrocities and extradited back to Europe. Years later, Max Weber, a wealthy industrialist involved in rebuilding the Third Reich organization in the U.S. and the rest of the world, is engaged by the EWP which is also intent on controlling the United States. Unfortunately for Weber, his interests soon come in conflict with the interests of the EWP. When Hanna Lange, an EWP-hired hitman, eliminates the U.S. President, Weber’s ambitions become too inconvenient for the EWP, and Hanna Lange is asked to eliminate him and his infamous operative, Clerk. But when Lange fails to take out Clerk, the EWP executive arm, Troika, intent on removing Weber permanently, engages Raven. Raven succeeds in taking out Weber and, in search of a haven, he flees to Hong Kong. And Lange, who would have eliminated Weber had Raven failed, flees to Rio de Janeiro to start a new life. Edward G. Kardos presents an inspiring tale of a young artist, who is at odds with his life on his father’s farm, and is forced to make a decision about his future. 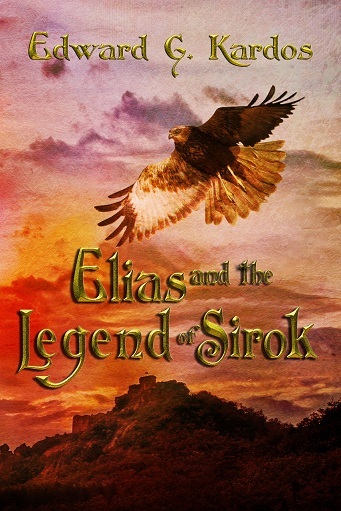 His grandmother prepares him for a journey of discovery that takes him from his Hungarian village into a supernatural world. Here he faces powers and mystical beings—some that he strives to understand, while others he is forced to battle. With help from a wise man, he finally confronts his fears as they are personified by a dragon that changes shape at whim and will. Will Elias triumph over the dark powers around him? If he survives, what will he learn—about life and himself? “Ed Kardos is a soul searcher. He writes from the head and heart, finding true meaning in the vagaries of life,” said Dean King, bestselling author of Skeletons on the Zahara about Kardos and his book. solve problems with no solutions? These are the questions Roy Dimond dares to ask in his new thriller, The Rubicon Effect. The US Presidential election opens doors to a horrifc plan to contain global climate change. However, two unrelated events, a newly ordained Pope, raised on the mean streets of Buenos Aires, Argentina and the death of the Venezuelan President, may change the world in ways unseen. Sam Albright, an environmental scientist, may have a solution, but must first answer this: Is humanity driven by hope or fear? The Rubicon Effect takes the reader on a wild ride into backroom meetings, Papal enclaves, and safe houses where top secret political strategy sessions take place. Everyone is trying to answer the question of how do we save the world, and change it for the better. Unfortunately, the time to act is running out. Mother Nature may have crossed the Rubicon and there is no turning back.The Apocalypse,The End of Days,has arrived and humanity is to be judged. What they have to go through to realize how much they want and love each other?Do they have the power to fight for what they want?Unfortunately it looks like she will never get her wish of having this man she love so much. 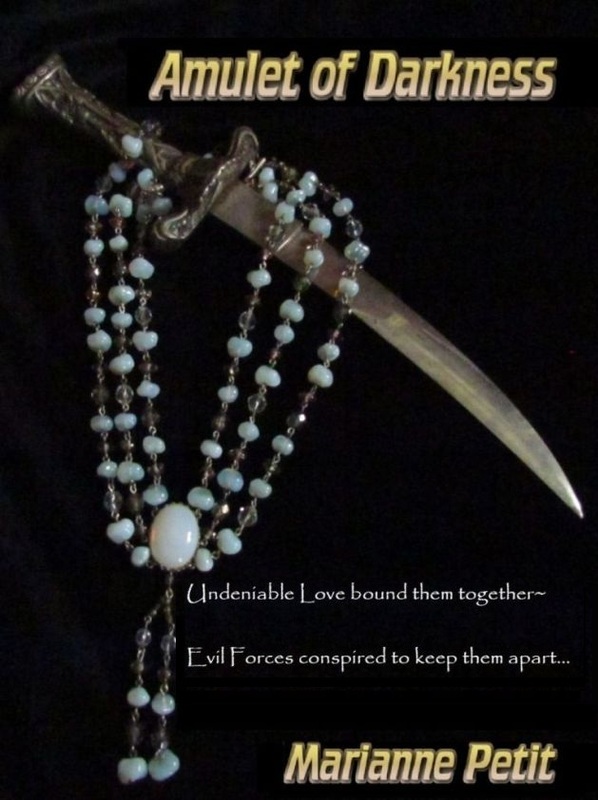 Cyrenne thought that the impossible is possible, she thought that forbidden and impossible love will come alive.In the end she understood that ,,In his heart she was his woman, in reality she could never be.